The Gear S2 Classic 3G/4G model has been announced by Samsung, and, as usual, is now available for pre-order with carriers. Verizon is now selling the coveted smartwatch on pre-order for $399.99, or $349.99 with a two-year agreement. 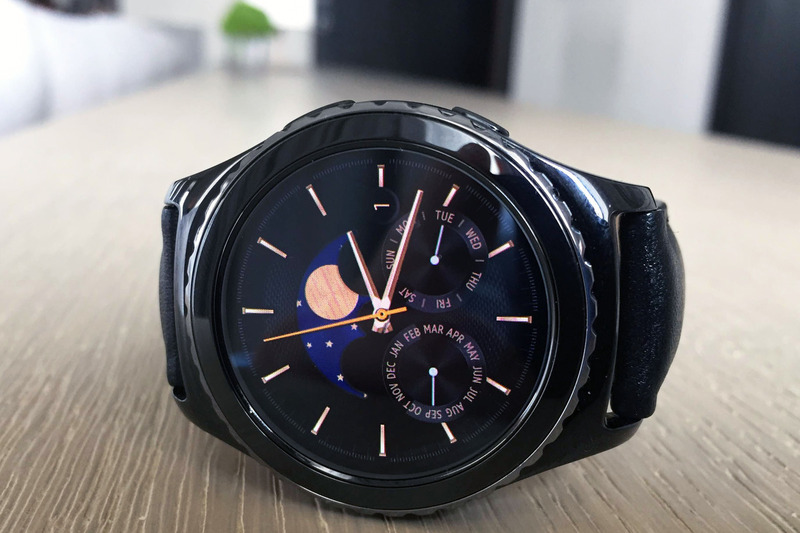 As for the data service itself, you’ll pay just $5 a month to have cellular connectivity on your wrist (as is the case with the current original Gear S2 3G model; the non-Classic one). The Gear S2 Classic 3G/4G smartwatch has the same specs and features as the non-Classic model, but differs in its e-SIM capability. The Gear S2 Classic 3G/4G smartwatch allows you to switch carriers remotely, without entering the store, all by way of downloading the preferred carrier profile onto your smartwatch. The same 1.2-inch, circular AMOLED display returns, as does the 4GB of memory, 512MB of RAM, and 360 x 360p screen resolution (or 302ppi, for the spec-hungry). While Verizon now has the Gear S2 Classic 3G available for pre-order, it will go live worldwide on March 11th with Verizon, T-Mobile, and AT&T – the same day that you can also pick up the Galaxy S7 and Galaxy S7 edge from carriers. The Gear S2 Classic 3G/4G will only be available in black, but again, black is a classic color for a classic smartwatch.